That is certainly a good idea! Why didn't we come up with this idea much earlier?? This question is asked again and again when novelties are successful. The time has arrived – you can begin! ... Create your own personally designed one, two or three-room apartment all the way up to your own dream house! Apart from that, if you don't want to build the second and third box - or the associated attic floor (90110) - immediately upon completion, you can first wallpaper your module box with our special "Structure wallpaper for outside walls" (41100), one of the properly styled grass-fiber wallpapers available in retail stores or a self-adhesive foil with the appearance of wood. 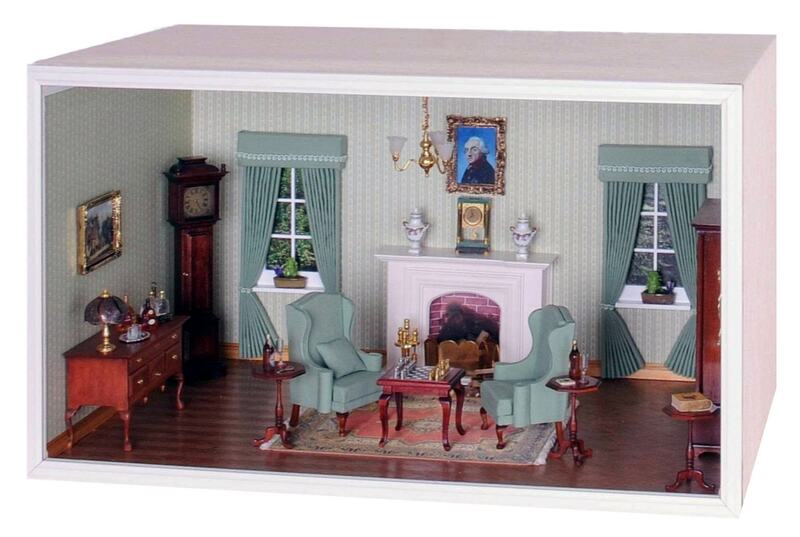 You can thus present your newly created room on your shelf or sideboard "as a complete success". Alternatively mounted on the wall, your module box will certainly be an interesting eye-catcher for friends and your entire family. Or are you already planning to build your dream house, consisting of several MODULE BOXES, which are each attached to the rear side by two screws (invisible from the interior) in such a way that you can build a stately home with roof and dormers? Loosening the screw connection gives you the flexibility to exchange MODULE BOXES or to assemble them in order. We wish you much enjoyment in any case with the creative implementation of our modular concept.